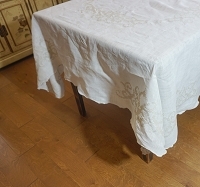 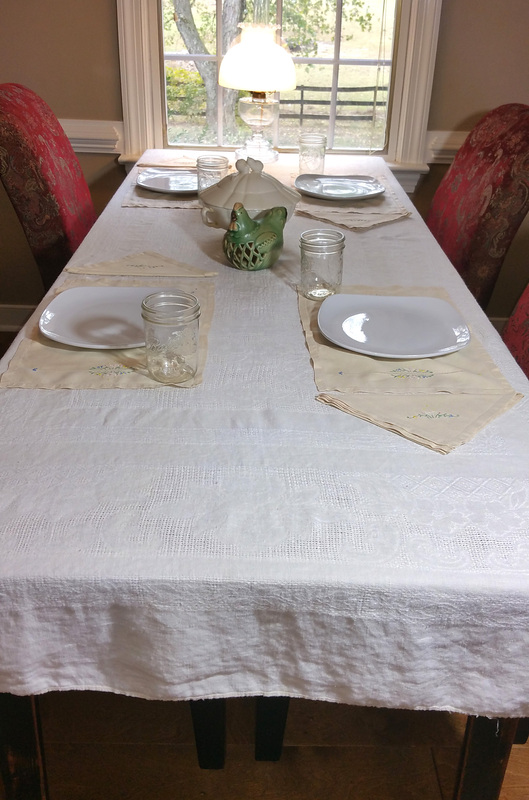 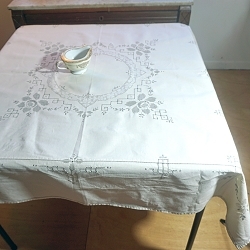 This is a great vintage banquet size linen tablecloth with a beautifully woven design in the fabric. 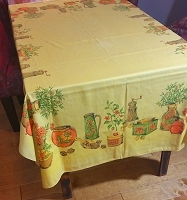 Fits my 7' x 32" table perfectly, but I forgot to measure it before I packaged it up so let me know if you're interested and I'll get measurements for you. 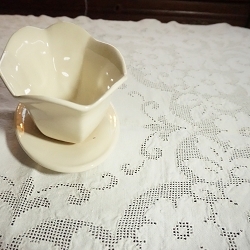 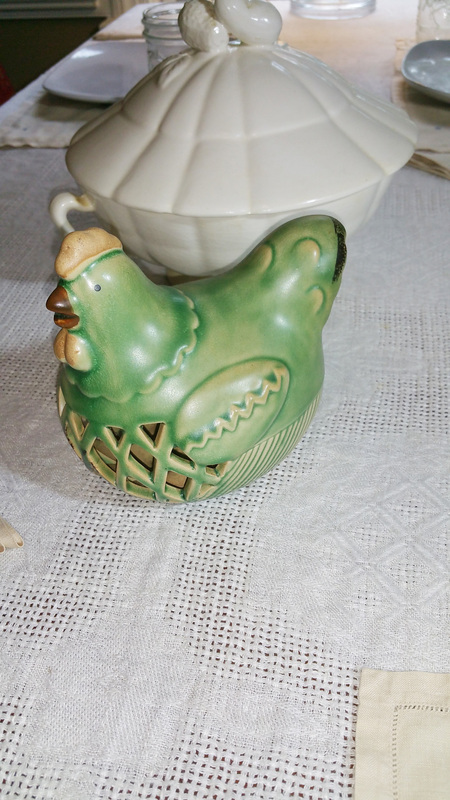 It is almost white but with an almost imperceptible slight beige tint and it's in great condition.